Animes about cute girls' life are drop a dozen, hardly any of them are worth mentioning or even watching. But once a while something pops up, that is special not in terms of being extraordinary, rather, being ordinary. 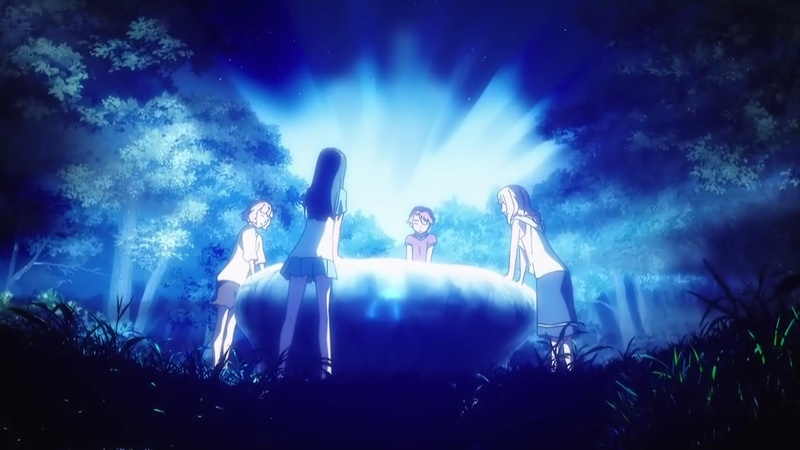 The story is about four BFF girls due to a certain circumstance that their friendship is on the brink of destruction. By an odd chance, a rock with mysterious powers that grants wishes made some interesting wishes of the girls came true in a very strange way. With those wishes, not only they have reaffirmed their BFF status, some of them also learned to accept changes of life as it is and make best of it. The story may not sound that interesting, but the distinct personalities of the four girls just made it so much entertaining to watch. And since the rock grants wishes in a very peculiar and unpredictable way, there's no lack of fun mishaps these girls suffer through. As I mentioned in the previous post, Natsuiro Kiseki is a comedy that does not rely on exaggeration to make its point. While animes like K-ON! emphasizes on moe plus over the top bounciness to attract audience, Natsuiro Kiseki on the other hand is far calmer than those in the same category. It showed that subtlety can be equally funny if done right, and it adds an extra dimension of mellowness where it would be somewhat difficult to insert into a bouncy comedy anime. Recommendation: I don't think I'd put this on a "must watch" list, but I'd definitely put it on "if you have extra time to burn" watch list.